Many people go vegan because of their ethical beliefs, not because they don't like the taste of animal products like cheese. Luckily, you don't have to give up delicious cheeses in order to follow a plant-based lifestyle. Vegan cheeses are available in all kinds of flavors and price ranges, and everyone can enjoy the taste as well as the health benefits of these dairy alternatives. Daiya is an award-winning, widely distributed vegan cheese, and it's even used for vegan pizzas at restaurants like Mellow Mushroom. 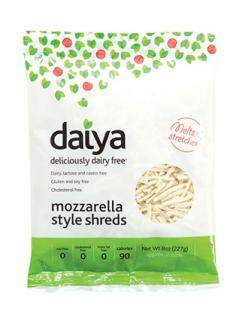 In addition to being dairy-free, all Daiya cheeses are gluten-free and soy-free. Available types of cheese include shreds for tacos and pizzas, slices for sandwiches, and wedges for serving with crackers. As Vegansaurus stated, the Daiya Havarti is a great find even for those who don't particularly like spicy food, and those who do love spicy food can easily spice it up some more. Jersey City Vegan recommends the Jack cheese with crackers and vegan pepperoni for a tasty snack. 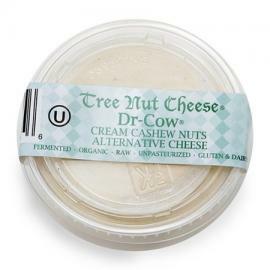 Dr. Cow tree nut cheeses are raw vegan cheeses that are made entirely with certified organic ingredients. The same processes that are used to make traditional dairy cheeses are used to craft these nut-based cheeses. These flavors are available individually in health food stores and vegan shops, or you can purchase them all packaged together in a sampler pack from the official company website. There are also plans to open a Dr. Cow flagship store in Brooklyn, New York. Alicia Silverstone recommended Dr. Cow cheese at The Kind Life, calling it yummy and presenting the several flavor varieties. Vegansaurus referred to Dr. Cow cheese flavors as more complicated and stronger than other popular vegan cheeses, yet highly recommended them all. VegNews went so far as to proclaim that Dr. Cow has returned art to the process of making cheese. If you are looking for a cream cheese spread that tastes every bit as good on a bagel as the old-fashioned, dairy kind, the Vegan Gourmet brand by Follow Your Heart provides a delectable one. The company also makes blocks and shreds of vegan cheeses like mozzarella, cheddar, Monterey jack, and nacho cheese. It has extensive distribution for a vegan cheese brand, and you can find these cheeses at many Whole Foods stores and smaller health food shops. VegNews called Vegan Gourmet's Fiesta Blend shreds a must-have that tastes like a party in your mouth, while the magazine described the flavorful shreds as so close to dairy cheese that it could fool non-vegans. Mother Earth News recommends Vegan Gourmet cheeses for pizza. 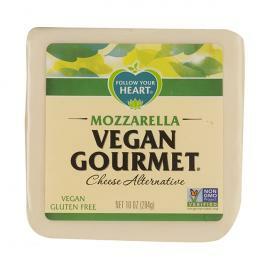 You will find the scrumptious cheeses of Vegan Gourmet by Follow Your Heart in pre-packaged foods to add in all the cheesy goodness without the dairy. For example, Bold Organics uses the mozzarella variety in their cheese and veggie lovers frozen pizzas, calling it the "best tasting vegan cheese." Additionally, there are several recipes on the company's website, including a popular one for macaroni and cheese. Created by celebrated chef Heidi K. Lovig, Heidi Ho vegan cheeses are always made with natural ingredients. These cheeses have no preservatives or additives unlike most processed foods. In addition to being vegan, Heidi Ho cheeses are organic and gluten-free; they are also low in fat and sodium. Organic Authority praised the variety of cheeses available from Heidi Ho. Vegan Crunk called the company's nacho "cheeze" sauces delicious. Teese is a vegan cheese made from Chicago Soy Dairy. Teese is great for vegans as well as those with other allergies because it's free of gluten, soy, wheat, palm oil, peanuts, and tree nuts. In addition to finding Teese at health food stores and specialty markets throughout the country, it's also served in restaurants like three Think Cafe locations in New York City, Masa of Echo Park in Los Angeles, and Pizza Pi in Seattle. Flavor varieties include mozzarella cheese, cheddar cheese, and nacho cheese. The Teese nacho cheese can be used for a variety of delicious treats, such as sauces and dips. How Stuff Works recommends the mozzarella flavor. The official Tumblr of the Chicago Soy Dairy posts a variety of recipes for using all the Teese flavors, including a popular one for Teese cheddar beer biscuits. Taste is a subjective thing. If you are not into commercial vegan cheeses, try your hand at making your very own cheese. Alicia Silverstone's vegan blog, The Kind Life, offers recipes for vegan goat cheese and a vegan macaroni and cheese dish. You'll also find recipes at sites like Food.com for vegan nacho cheese. Experiment with vegan cheese recipes until you find the perfect one to suit your taste. Some cheeses that advertise themselves as soy cheeses are not actually vegan. 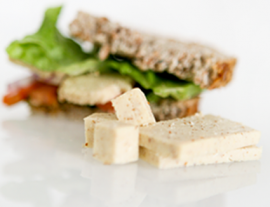 Even though they are put with the plant-based foods, soy cheeses may contain animal products like rennet or casein, which are certainly not vegan. Look for a label identifying the soy cheese as specifically vegan or read the ingredients yourself to double check. Whether you're looking for pairings for a cheese and wine party or simple some nacho cheese sauce for finger-licking snacking, take heart in the fact that you don't have to give up any taste that you like to live an ethical lifestyle.